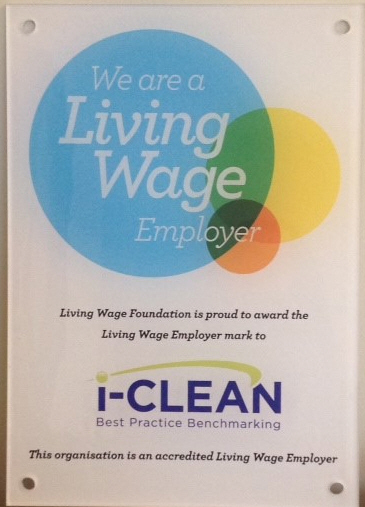 i-Clean Systems Ltd is proud to announce that we have been accredited as a Living Wage Employer by the Living Wage Foundation. Mike Boxall, MD of i-Clean said: "The Living Wage Foundation underpins our commitment to good practice in the industry and we are proud to pledge our support." If your organisation would like to increase pay rates but is unable to finance it, i-Clean has demonstrable experience of identifying efficiency gains which can be offset against enhanced pay rates to staff.